For those who didn't see the Peach Rabbid leak, here it is. 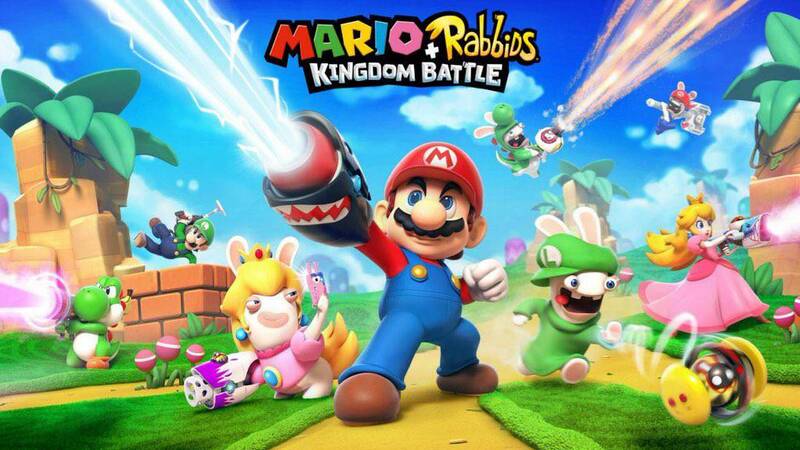 The long-rumoured strategy RPG, Mario + Rabbids Kingdom Battle is currently scheduled for release in August and is set to debut at E3 in June. We will have more details on the game and its development soon. "While the immediate reaction online was largely negative, we're really digging the game so far. Yes, it's silly. Yes, it's over the top and goofy. Yes, this is a Rabbids game. Anyone who's played Ubisoft's infamous Raving Rabbids games knows that they all share the same zany sense of humor, but you know what? It actually works. The games are genuinely laugh-out-loud funny, and we have a feeling that the marrying of that humor and Nintendo's flagship style and gameplay philosophy is going to make for a fantastic little game. As for what kind of game this will turn out to be, we still don't know. We're hearing that it's going to be a strategy RPG of sorts, but beyond that it's hard to speculate. We've heard that the game will feature turn-based battles and co-op, and that it will be releasing later this year. If that's the case, then we're definitely going to get a great look at this game next month during E3. We can't wait for that, because this is definitely shaping up to be the most unique game on the Nintendo Switch. Stay tuned to WWG for more."